This Uber Cute quilt is easy and fun to make. 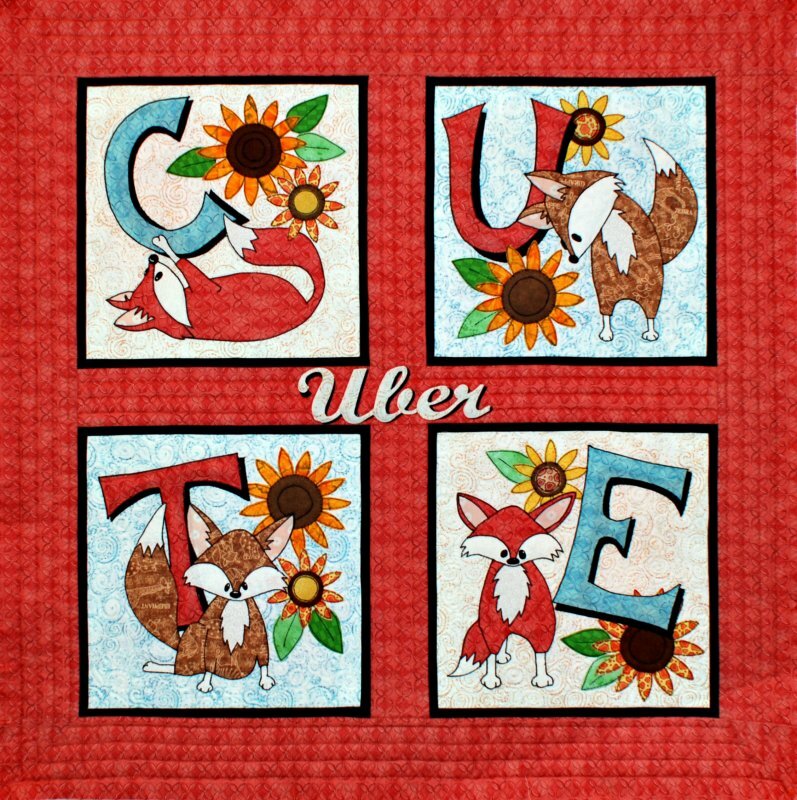 Each little fox block contains a letter that spells out the word CUTE, the UBER is in the middle between all the letters. This is bound to be a best seller! This quilt is also makes a great play mat. Approximately 41"x41"